With January just over, the Nigerian music industry is picking up steam in readiness for another year of lyrical and visual creativity. The latest release today, new video tomorrow. The artists just keep rolling out one hit after another much to the delight of their insatiable fans – myself included. What I love most about this mix of new Nigerian songs is how diverse it is. The weekend is the perfect time to finally relax and enjoy music and other things you love. And if you’re anything like me, you can also listen to these while doing chores – hey, no one can say you don’t multitask. Humblesmith recently released visuals as directed by Clarence Peters for the song ‘Report My Case’ in which he featured Rudeboy of the defunct P-Square. The video which had Atilogu dancers doing their thing was made more colourful with splashes of the African print in almost every scene. Johnny Drille is definitely one of the most exciting vocal talents in Nigeria at the moment. I am always excited to hear music from him. ‘Shine’ is a classic upbeat bop with folk-song leanings and drops just in time for Valentine’s because he wants us not to lose ourselves. No longer the plantain boy, Timaya is balancing things up with his latest jam and we love it! 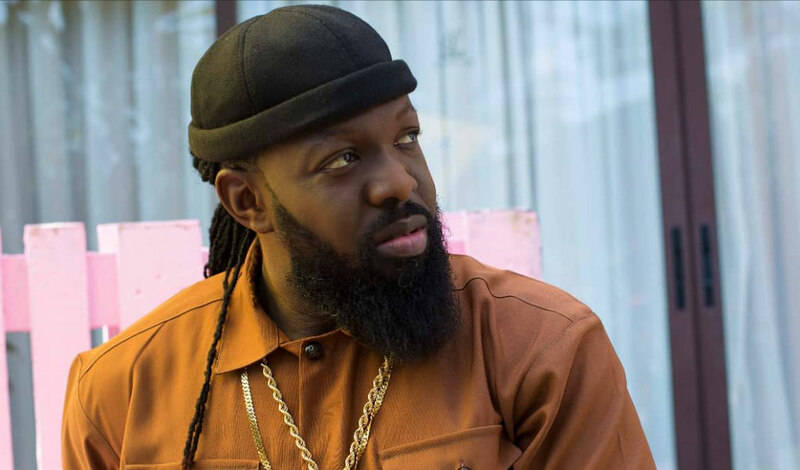 ‘Balance’ is the lead single off Timaya’s new project Chulo Vibes EP. The track is a reflection of his early beginnings when he started music with nothing and now things have balanced up. With the elections just a few days away, Solidstar joins other musicians who are lending their voices to bring awareness to the state of the country. In this song titled ‘Nigeria Future’, he is asking “what is the future of our children.” A very important question we should all try to answer as we head to the polls. ‘Turnioniown’ (Turning on its own) became a word trend in January and Nigerian singer and Chocolate City music producer, CKay jumped on this trend to create a brand new jam. Talking about thinking on his feet. In this track, CKay talks about vote buying, the Nigerian economic situation, the high cost of living, dollar hike, ASUU strike and many other societal issues. Before the release of his album to mark his 10th year in the music industry, rapper and producer Samklef releases a new song titled ‘Pay’. The self-produced track definitely has good vibes on the superb Afrobeat sound. The Baecation Video By D’Banj And 2Baba Is A Must Watch!